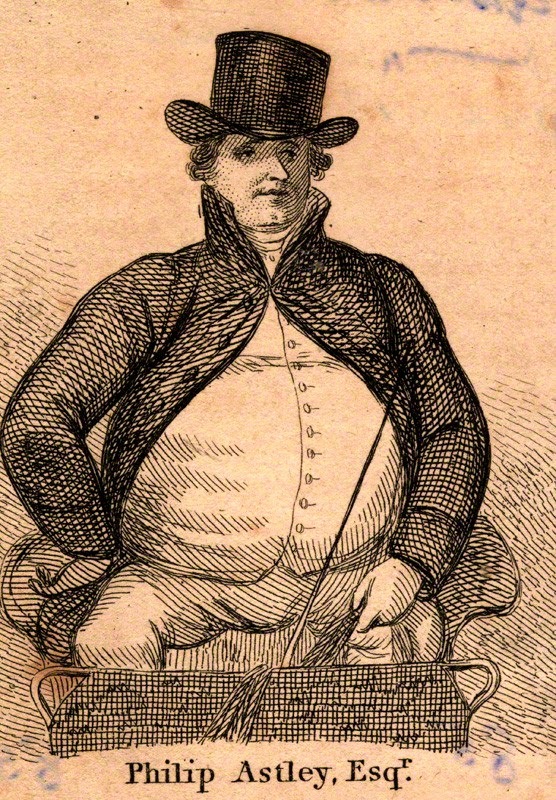 There is little I like more than passing a few hours of entertainment and as a lady with a love for equestrianism, it is a pleasure to share the tale of the estimable Philip Astley and his hugely popular circus, which opened on 4th April 1768. Astley had spent many years in the 15th Light Dragoons and during the military career that eventually saw him attain the rank of Sergeant Major, he honed and perfected his riding skills, discovering a natural affinity with horses. Astley was a soldier, horseman and born businessman to boot. Once he retired from the army he established himself as a riding instructor and entertainer, performing shows of trick riding in a small outdoor enclosure he established in Lambeth. The former cavalry officer soon had audiences flocking to watch the astounding equestrian displays and it wasn't long before he employed clowns to entertain the audiences in between equestrian displays. He has the honour of being the first man to bring together a variety of acts in an arena, thus creating the modern circus. 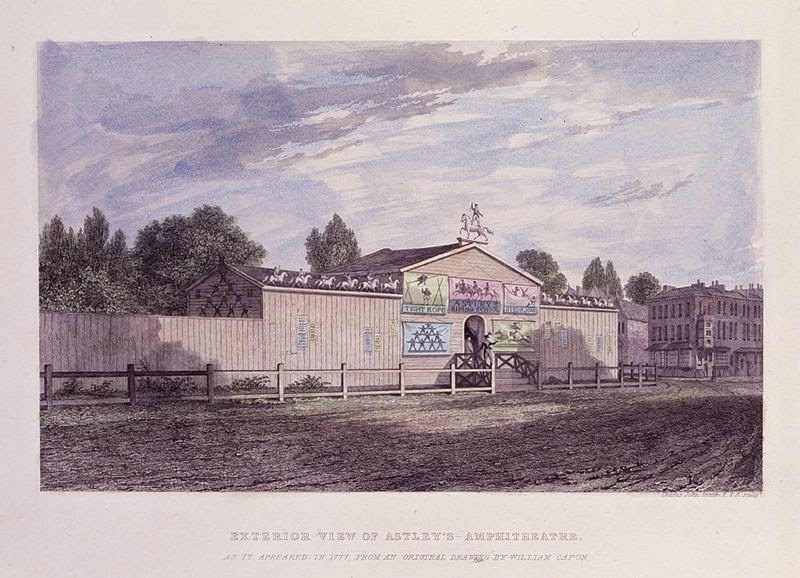 With Astley's becoming something of a hot ticket, the circus extended its opening hours into the evenings and crowds thrilled to fireworks, pantomime, music and all manner of entertainments. 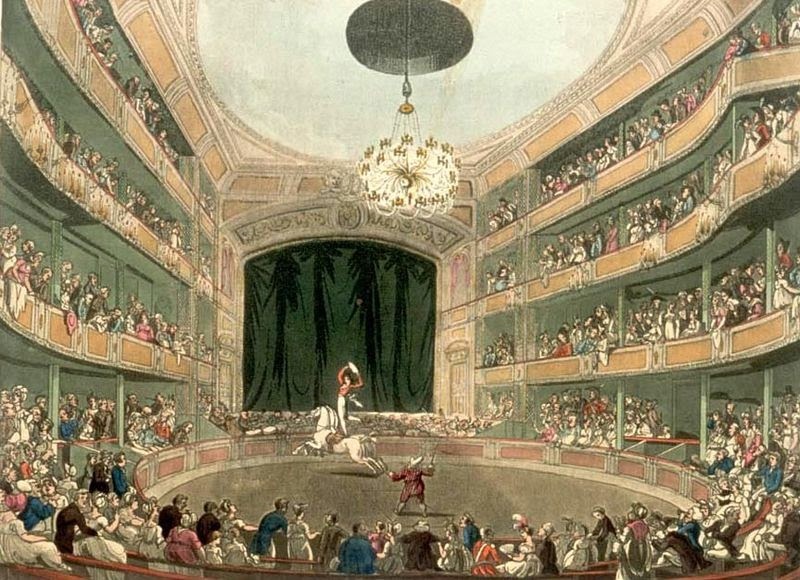 By 1770 demand for tickets to Astley's shows far outstripped capacity and he moved the circus to Westminster Bridge, adding a broad range of other acts such as acrobats, musicians and even performing dogs. With circus shows taking place in the afternoon and evening, in the morning Astley continued to run his successful riding school. As the circus grew so too did Astley begin to reap the financial rewards and as new circuses began to spring up, he invested greatly in his business. The open air amphitheatre eventually gained proper audience seating and a roof, with Astley grandly christening it the Royal Amphitheatre. Surviving against rivals, fires and social change, it was time that eventually defeated Astley's; the amphitheatre that had once been the toast of the town was demolished in 1893 and no trace of it remains today. Wow! Amazing story. He's kind of London's very own Wild Buffalo Bill with his Wild West Show. Imagine having a career in the army and then going on to do this!